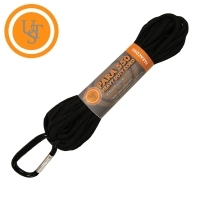 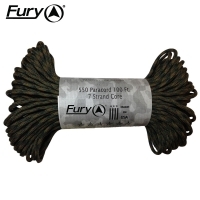 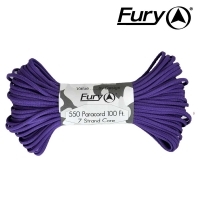 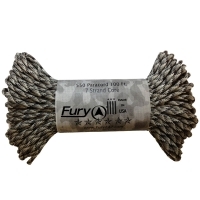 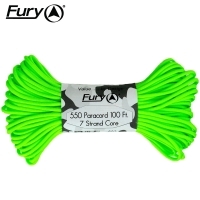 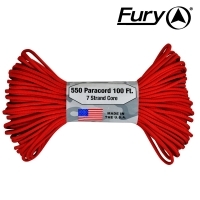 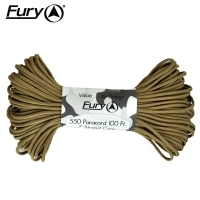 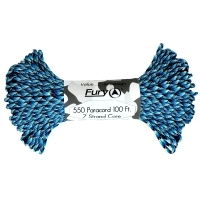 Don't be caught out by cheap inferior paracord, Fury paracord is the original 550 Type III made in the USA. 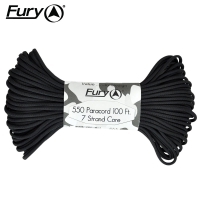 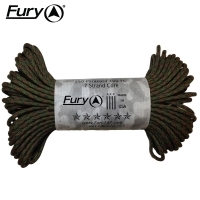 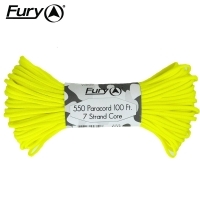 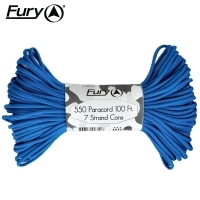 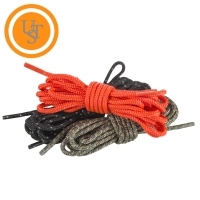 Unlike inferior parachute cord, all Fury paracord consists of a seven-strand core made with three separate strands. 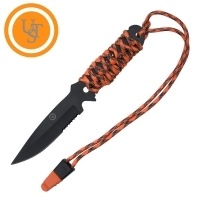 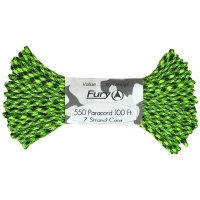 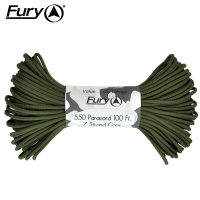 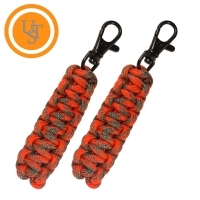 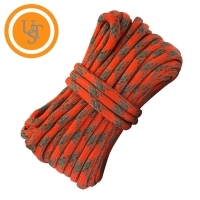 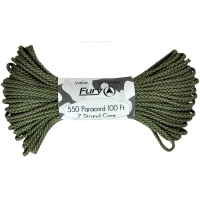 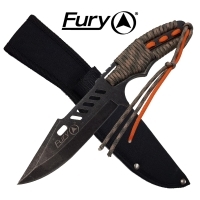 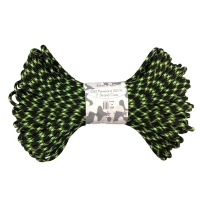 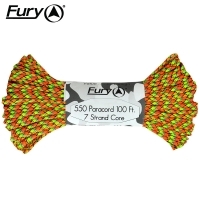 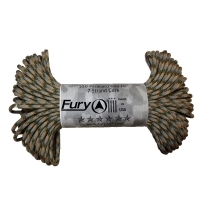 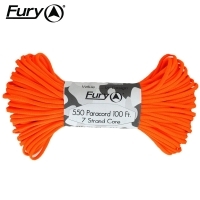 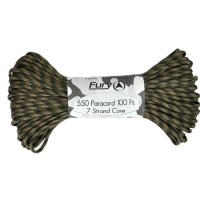 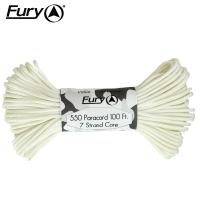 The Fury parachute cord is tough! 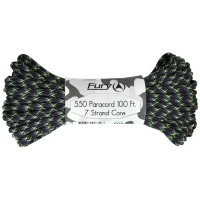 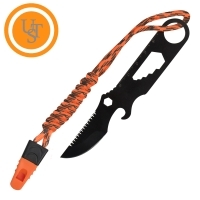 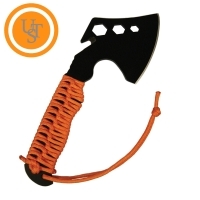 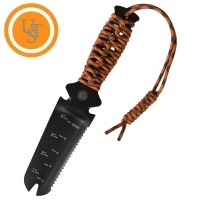 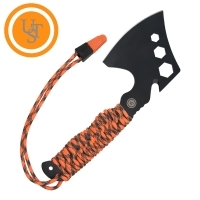 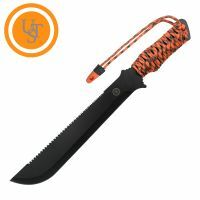 Paracord is a versatile tool and has many uses including: camping, hiking, survival, securing equipment, shoelaces, vehicle tie downs, sewing, repairing equipment, making a bow, making a shelter, fish gill nets, fishing line, animal snares, clothes lines, lanyards, anchor line, binding, adult recreation, restraints, tooth floss, splints, tourniquet, braiding, bracelets and other crafts. 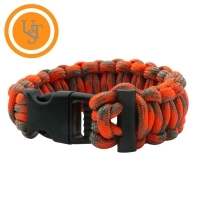 it comes in a large variety of colours from plain black to the camouflage series and the Zombie apocalypse line.